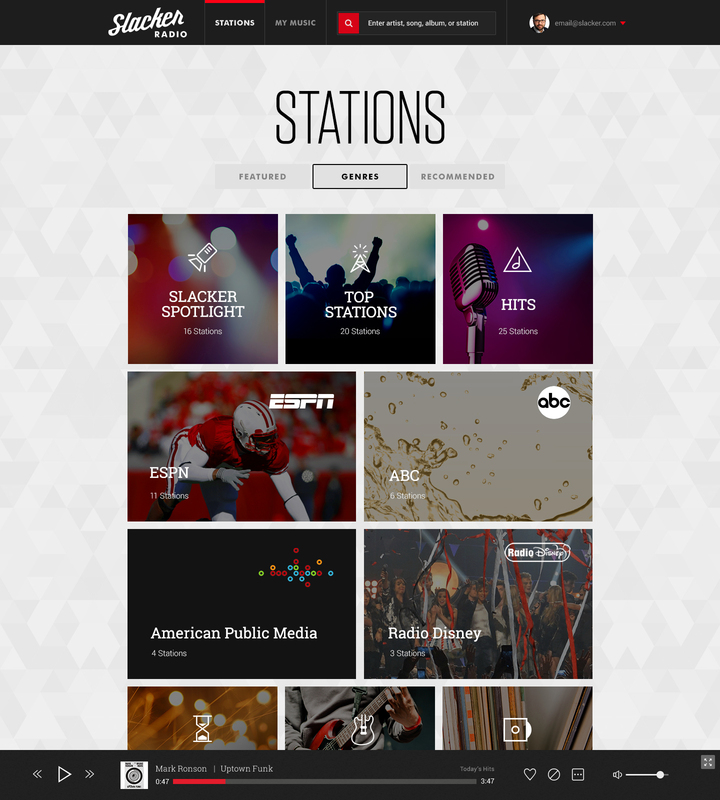 Online radio service Slacker relaunched its website as well as its iOS app Wednesday, and is scheduled to follow up with an updated Android app by the end of the year, in an attempt to reinvent itself and finally explain consumers what it is all about. That’s been a problem in the past, admitted [company]Slacker[/company] CEO Duncan Orrell-Jones during an interview last week. Slacker didn’t do a very good job of positioning itself, said Orrell-Jones, who joined the company as its new CEO at the beginning of the year. Part of that was the company’s self-elected image, which looked stuffy when compared to its competition, complete with a logo that looked like that of a classic rock radio station. But part of the problem was also that Slacker tried to be a little bit of everything: Personalized radio like [company]Pandora[/company], on-demand streaming of full albums like [company]Spotify[/company] and curated radio stations like Sirius XM. But it didn’t really explain what its key differentiator from its competition was. 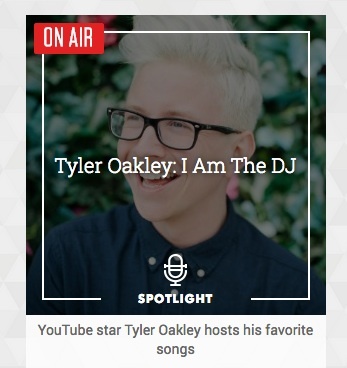 Tyler Oakley is one of a handful of new Slacker celebrity DJs. With its relaunch, the company now wants to put a bigger emphasis on the humans behind the streams. Slacker isn’t just using human curation, but actually has on-air hosts for some of its radio programming, and the company just teamed up with a number of online personalities, including YouTube star Tyler Oakley and Machinima pioneers Rooster Teeth, to bring more personality to its programming. “We are going to double down on having that human element,” Orrell-Jones told me. Slacker is also adding a bunch of non-music programming, including podcasts from the Nerdist network and shows from ESPN, ABC and a variety of other [company]Disney[/company] properties (that’s no coincidence: Orrell-Jones is a long-time Disney veteran). The goal of all of this is to turn Slacker into a service that more closely resembles the best of the radio world and less the complete automation of a personalized streaming service. Orrell-Jones likened that experience to listening to This American Life, or other radio programming that leads to driveway moments, where you don’t want to leave the car after arriving at home because you are immersed in a story. The hard part for Slacker is to convince consumers that this is an experience worth paying for, especially in a world where there are tons of great and free podcasts. The company is offering a free, ad-supported tier that’s also available on mobile devices, and just like Pandora allows limited song-skipping. Orrell-Jones said that this tier is making the company some money, but that the ultimate goal was to get people to sign up for a premium tier. 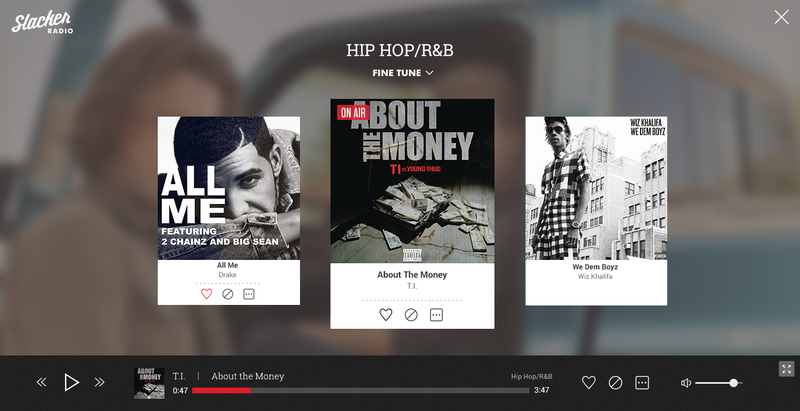 Slacker offers ad-free streams with unlimited Song skips for $4 a month, and full on-demand album streams for $10 a month. This post was updated at 11:02am to clarify that the Android app won’t be available for a few more weeks.